Are you on the lookout for the best bipod that will always offer you a precise and accurate shot from a balanced position from any angle and distance? 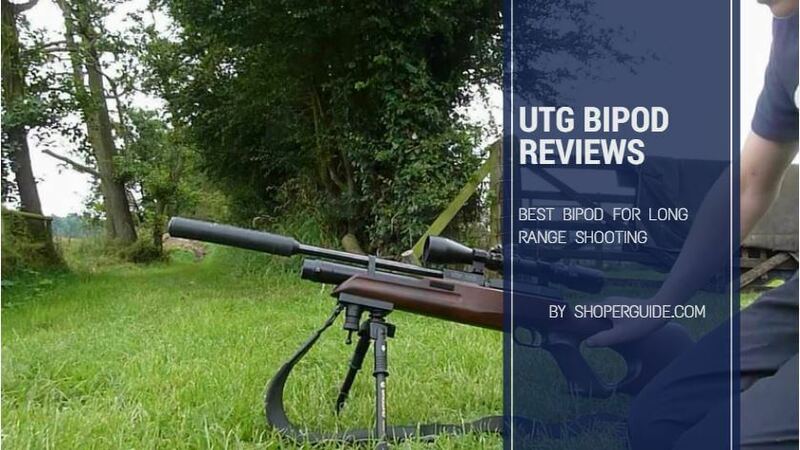 If yes, then the UTG bipod review is certainly for you. Here you will discover everything you need to know about Bipod. The UTG BIPOD is one of the best bipods on the planet, and this is due to its accuracy enhancing capabilities and features which some of the expensive bipods don’t have. What are the things you need to know about utg tactical bipod? 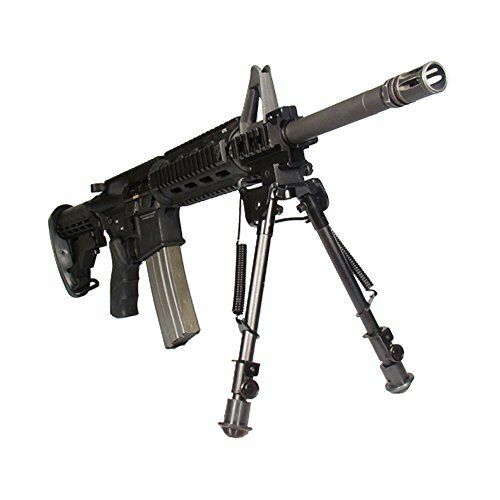 The bipod comes with a dual mounting system involving both Picatinny rail mounts and swivel stud. This mounting capability makes it easy for you to attach the bipod to any firearm, not like some in the market that are specific and selective. With the nature of its operation, the mounting device is constructed with heavy-duty materials and the entire body of the bipod is made of aluminum steel and the top platform where you will place your firearm is made of durable steel. No matter how heavy your firearm is, the bipod is very capable of withstanding the weight. The entire body of the firearm is well coated with an all-weather black anodization which ensures that the bipod doesn’t get rust and weaken due to a high level of usage. Irrespective of how heavy the material the bipod is made of, it remain a lightweight device because of the nature of the alumni which makes up the larger percentage of the bipod. So it is easier to carry from one place to another without stress. One of the factors you should look out for is the ability to pan your firearm easily. Not all manufacturer includes the panning feature so you must look out for this as not to get disappointed. The panning feature gives you more flexibility options as you can move your firearm to the best shooting position that suits you. You have more freedom to tilt your firearm from the right to the left with the feature without hassles. And this makes the bipod beats some of the expensive products you will find on the market today. It is one of the features that make the bipod so special among its kind. One might thing its uniqueness is limited to the fact that it can pan and tilt. But with the extendable and foldable leg, it is a great deal for anyone who has in possession. You have the platform to fold the leg of the bipod and also extend when there is a need to. The leg can be stretched from 8.3 to 12.7 inches to ensure that the device is balanced and steady for your firearm to get the perfect shooting position. To get the extended height, you have to draw out the leg and then lock it using the posi-lock to keep the legs in place and prevent it from going to its formers state. The leg can be inserted back after use so you don’t have issues with detaching them. The point is that the bipod comes in a more compact form so when in need of elevated shooting position, you have the leg to extend and achieve this without worries. 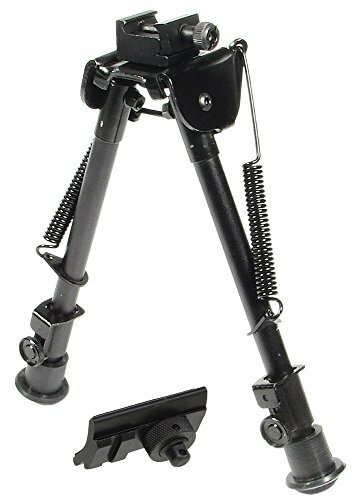 The bipod comes with a well-designed and solid cap at the end of the leg which is known as a rubberized stand. This is specially made to give the bipod a balanced position. Without a doubt you are going to use your bipod on a different floor and come will be neat and other coarse and this will affects your shooting. But with the stand, you have no worries because it will offer you excellent grip and keeps the bipod from sliding. When the bipod is used, your shooting will be precise and accurate because of the rubber stand that gives the device optimum balance. For an uneven Surface, It seems like a challenge to hold Its legs to the length the user desires and turn the Knob. 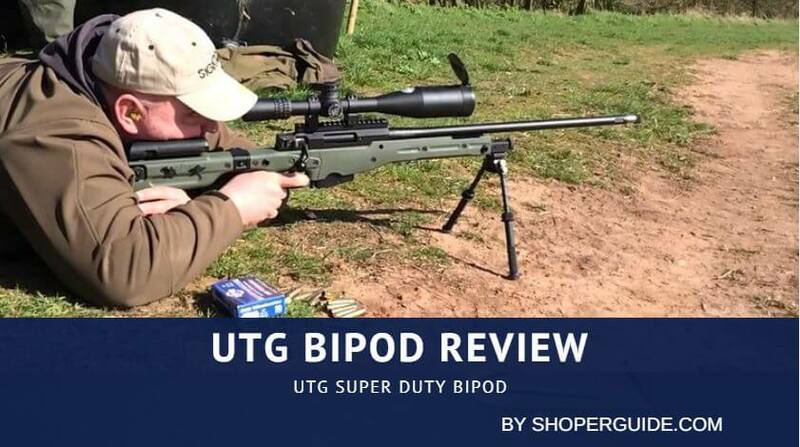 UTG Bipod Review is an in-depth content on the bipod for those who are in search of a perfect means to enhance their shooting with precision and accuracy. The bipod will give a balanced platform which will help you get a perfect shooting experience irrespective of the floor surface and distance. It is perfect for all kind of firearms.